There are a lot of eyelash growth serums out there. 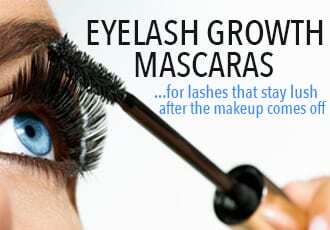 Unfortunately, most don't do what they claim to do - provide significant eyelash growth. So how you know which ones actually result in dramatically longer, thicker lashes? Well, you have to look and see if the lash growth serum contains prostaglandin ingredients. These ingredients usually show up as either Isopropyl Cloprostenate or Prostaglandin I.C. on the ingredients list. Sometimes, though, they're a lot less obvious, showing up as lesser-known names like Dechloro Dihydroxy Difluoro Ethylcloprostenolamide and Methylamido Dihydro Noralfaprostal (MDN). Up until a few years, many eyelash growth products used to contain these active ingredients, which is why so many lash serums were impressively effective. But recently, the FDA - most likely egged on by Allergan (the makers of Latisse) - warned various eyelash growth companies to remove these ingredients. This is why so many eyelash growth serums that used to provide dramatic lash growth - like Peter Thomas Roth's Lashes to Die for and RapidLash - have been reformulated into much less effective versions. If your goal is slightly longer lashes and a fuller, darker lash line - the best eyelash conditioners will do the job. But if you're looking for va-va-voom lashes - you know, the sort of eye fringe that needs no liners or mascaras to make your eyes pop - you'll need a prostaglandin ingredient to get you there. Itchiness in the eyes, dryness and/or eye redness. 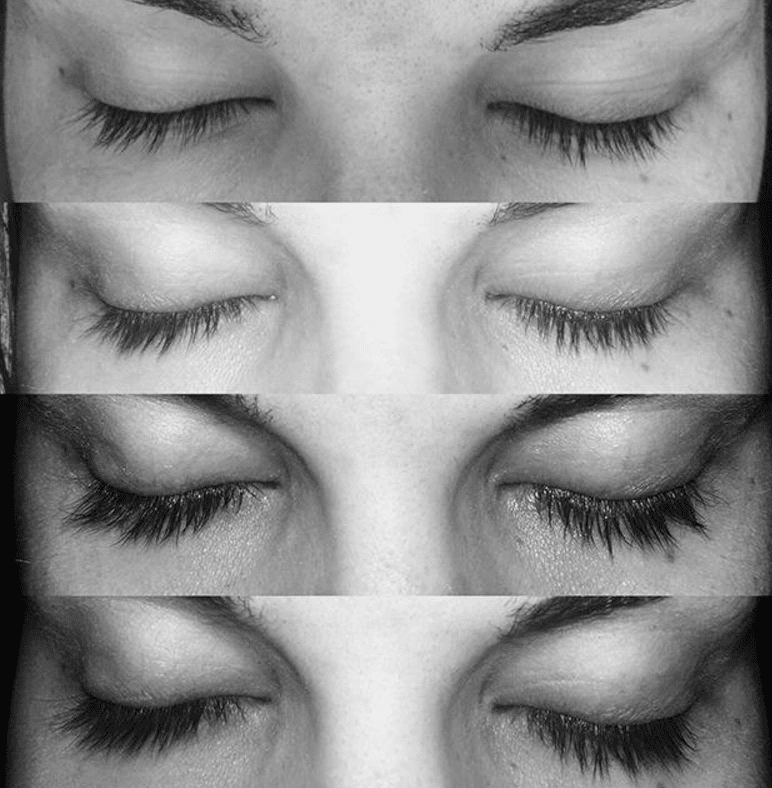 Eyelid skin darkening and redness of the eyelids. This eyelid skin change is a result of increased melanin in the skin but it is not permanent and will go away several weeks after you stop using prostaglandin. The most serious, and permanent, side effect is that prostaglandin analogues can cause irises (the colored part of the eyes) to darken. 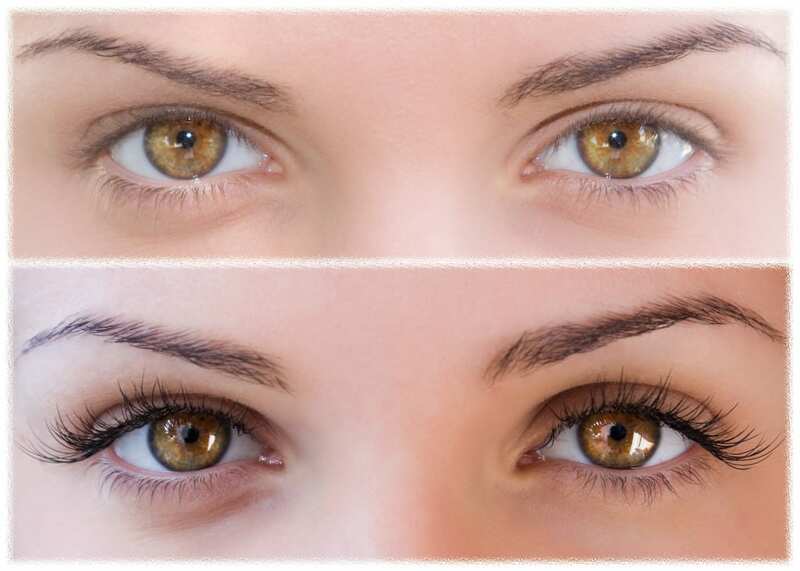 This means that light-eyed users can experience a darker (browner) eye color change. This side effect is permanent and will not change back even if you stop using the product. This is why we do not recommend prostaglandin-containing lash serums for light-eyed people. If you've got brown eyes, you're good to go but if not, choose a good eyelash conditioner instead. Despite the potential side effects, prostaglandin-containing eyelash growth serums are the only ones that can provide impressive eyelash growth. It's up to you to weigh the pros and cons and decide whether to choose an eyelash conditioner or one of the eyelash growth serums below. 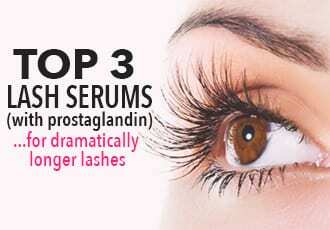 If you decide to go with a prostaglandin containing lash serum, here are the best picks! 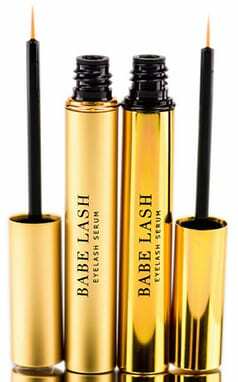 This is a gorgeously packaged lash serum that produces gorgeous results. And it's probably the best Latisse alternative on the market - not only does it contain Isopropyl Cloprostenate, a prostaglandin analogue to propel long, luscious lash growth but it also contains enough of it to produce drastic results. And it doesn't stop there - this lash serum also packs a heavy-hitting team of eyelash nourishers like Biotin, Panthenol, and strengthening peptides to further repair and restore lashes back to health. Overall, a great combination to make lashes grow, grow, grow to full and insanely long lengths. 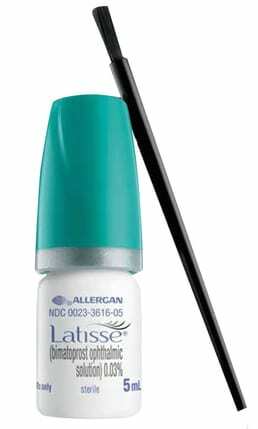 And at a fraction of the price of Latisse, this beautiful bottle makes for a reasonably priced and effective alternative. This is a great non-prescription eyelash growth serum for three reasons: it's not irritating, it's very affordably priced and it works - expect your lashes to grow thicker, longer and a lot more plentiful in around two months. 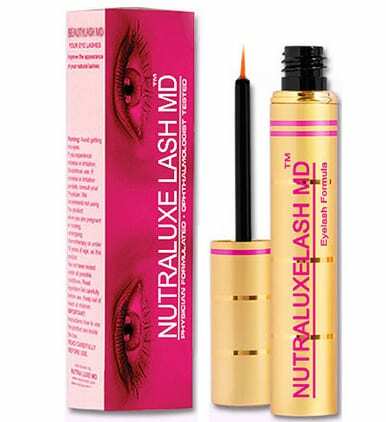 NutraLuxe MD's formula combines lash-conditioning ingredients like peptides, vitamins A, C, B3, B5 and E, and botanical extracts to nourish eyelashes as well as Prostaglandin I.C., the ingredient directly responsible for causing significant eyelash growth. Read our full review of NutraLuxe MD. The best part is that you don't need a prescription and it is really affordable - the largest tube (4.5mL) costs just $﻿56 and will last you several months of eyelash (and brow) growth. Much like NutraLuxe Lash, this eyelash enhancer contains vitamins, peptides and amino acids to nourish and condition the lashes. It's star ingredient is also prostaglandin I.C. (a prostaglandin analog similar to the active ingredient in Latisse), which is in a smaller amount than in NeuLash but is still enough to promote significant eyelash growth. 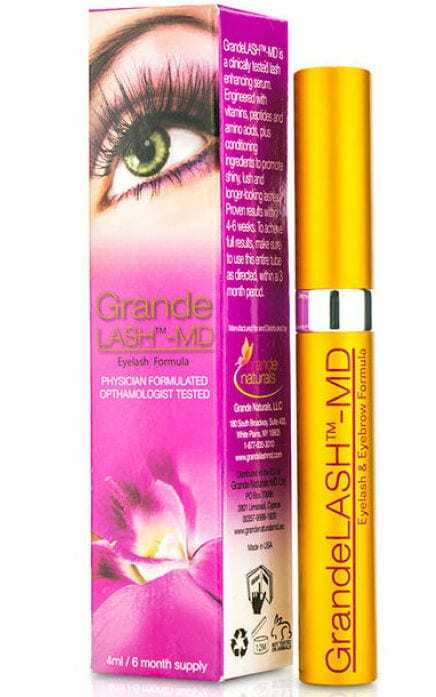 The only thing we have to mention is that GrandeLash is a little bit irritating to the eyes, although it gets better after about a week of use. The RevitaLash Advanced lash serum used to be as pricey as Latisse but no longer - the prices have dropped, meaning it's now available for half the price of Latisse. And it's still just as great, thanks to Dechloro Dihydroxy Difluoro Ethylcloprostenolamide, an impossible-to-pronounce yet highly effective synthetic prostaglandin analogue that's unique to Athena Cosmetics, the company behind RevitaLash. 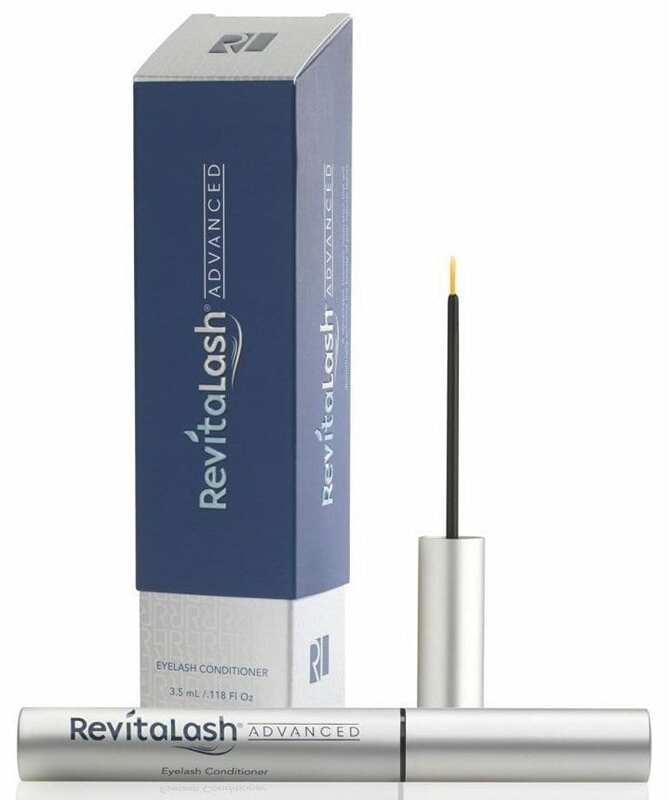 RevitaLash is also stocked with lash-health-boosting ingredients like panax ginseng root extract and peptides but it's the presence of Dechloro Dihydroxy Difluoro Ethylcloprostenolamide that makes a huge difference on the lashes, growing thin, sparse eyelash hairs into full, dark, luscious fringes. 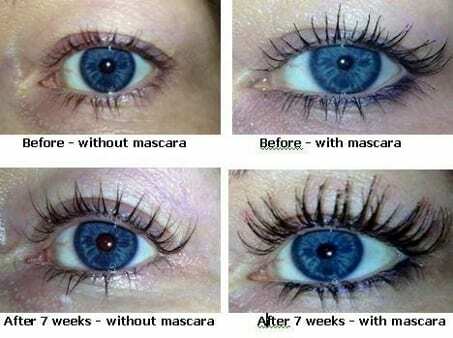 M2 Lashes is fairly new to the market but it's already gaining in popularity thanks to the fact that yes, it works. 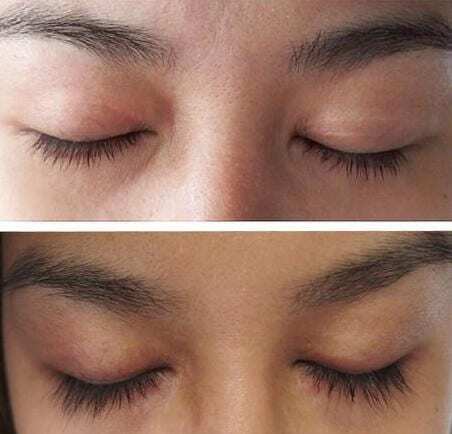 Like every other eyelash growth serum, it does take awhile to see results but after around a month or two, this lash serum results in a huge difference in the length and thickness of your lashes. If you're scanning the ingredients list and don't see any familiar prostaglandins, that's 'cause M2 Lashes uses a unique one called Methylamido Dihydro Noralfaprostal (MDN), a prostaglandin analogue that's closely related to Bimatoprost, the one found in Latisse. 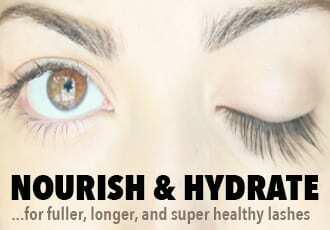 And it works just as well as Latisse in growing immensely dense, fuller-than-thou lash lines. The drawback? It's expensive. 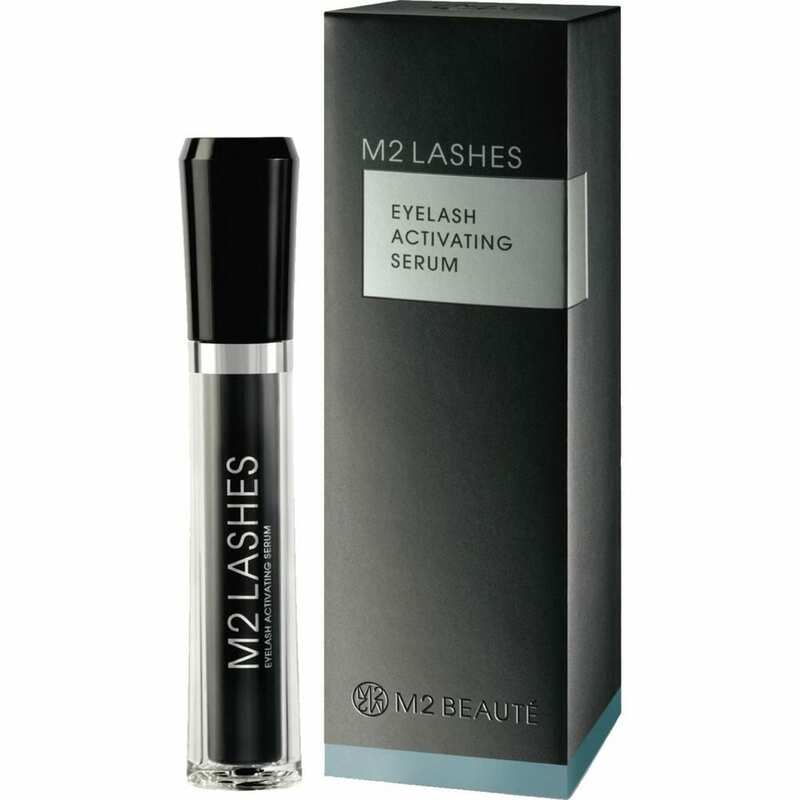 At $105 per bottle, M2 Lashes is comparable in price to Latisse, making it the most expensive Latisse alternative on the market. That being said, at 5mL, it's also a fairly large bottle. LATISSE is hands down the most well known eyelash growth serum. The active ingredient in LATISSE is bimatoprost 0.03% and it is undeniably effective, resulting in drastically longer, much thicker, and impressively dense lashes. It's also FDA-approved and shown to work for around 80% of people who use it. The downside to LATISSE is that it is expensive - around $125 for a tiny bottle - and you need a prescription for it, so add in the cost of a doctor's visit as well. Read our full review of LATISSE. 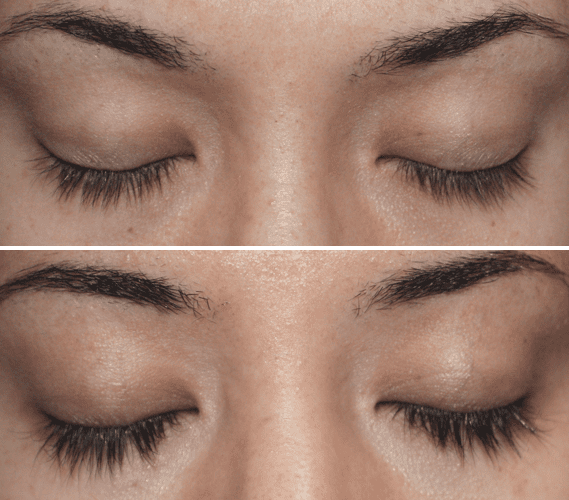 This is why we recommend using one of the Latisse alternatives above, all of which contain similar active ingredients that promote the same sort of drastic eyelash growth and are much, much cheaper. Updated February 16, 2017: We try to constantly update our posts since eyelash growth serums are constantly changing their formula which can make a huge difference in how effective they are.